Bringing your new product to market is a long and difficult road. One of the construction delays you'll run into is turning your prototypes into accurate 3D models, which you'll need for analysis, documentation and mass production. Topeka Foundry & Iron Works has the technology and experience to produce CAD files for each part to the tightest tolerances possible. 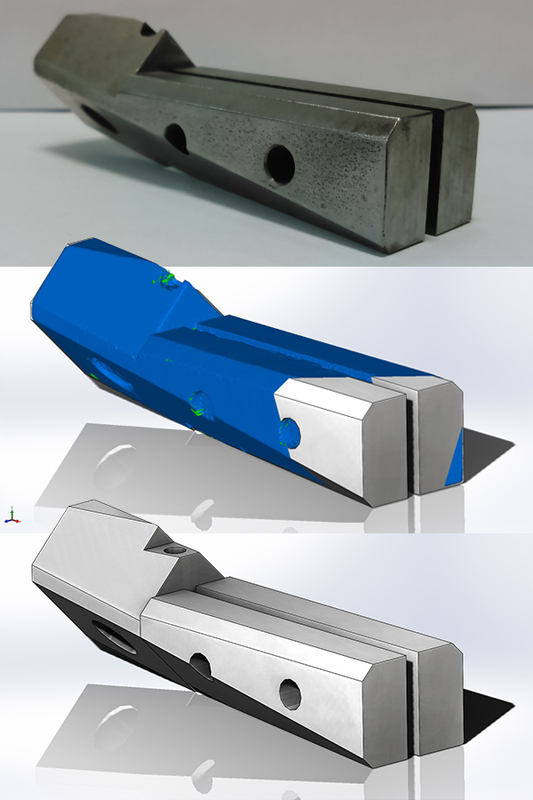 Our machinists and engineers can also offer advice on improving on your design or manufacturing process. With our expertise on your side, you'll not only see your dreams proudly come to life, you'll also see a stronger bottom line. It doesn't stop there. Our reverse engineering services can also prevent prolonged stoppages by replacing obsolete parts in your aging machinery. We've helped many clients replace broken shafts, gears and other proprietary parts that are no longer available with brand new, and often stronger, components. We can also help uncover infringement from your competition. If you need documentation to prove your hard work has been benefitting another company, Topeka Foundry & Iron Works can provide the data needed to prove their components or assemblages are suspiciously identical to yours. Reverse engineering can also keep your company compliant with ever-increasing regulatory requirements. If you have products that you have been manufacturing or selling that have never been accurately detailed, and you now need to provide 2D drawings or 3D models, our team can help you produce them. Topeka Foundry & Iron Works is more than a machine shop... you can think of us as your high-tech partner. While your company is driving hard towards success, we're here to help keep you going at top speed.